Stress Engineering services are at the heart of what we do here at BroadTech Engineering in our office base in Singapore. Failure analysis is a complete multi-disciplinary approach to evaluate and investigate a failed component, part or structure design. 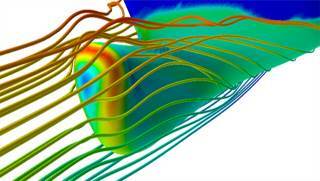 At BroadTech Engineering, our stress analysis is carried out using advanced Ansys simulation modeling software tools. Using the simulation modeling tool, critical areas of the component are identified. The reserve Material strength for a given loading condition is also calculated. For added verification, actual stress values can be measured using field techniques such as strain gauges. This correlation of theoretical and actual stress data allows the stress values to be verified. In addition, the actually generated stresses can be measured using and brittle coating. 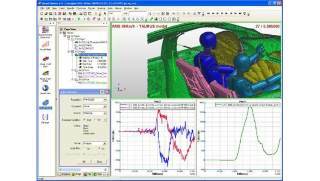 We have been providing stress simulation solutions for companies and industries that require in-depth technical knowledge and proven track record in the fields of engineering simulation modeling and design analysis, Thermal and fluid sciences, instrumentation. We have the depth and bread of technical engineering consulting experience which spans across a diverse range of industries, ranging from From Upstream Oil & Gas engineering to Downstream Chemical & Refineries, Consumer Products manufacturing to final shipping & packaging design, Material Endurance Testing, Medical Devices to Pharmaceutical applications, and Pipelines to Power engineering. This allows us to have the unique position to provide you with the necessary knowledge and tools via our structural consulting services to tackle your toughest engineering challenges and deliver a cost-effective engineering solution. Discover what Stress engineering services from BroadTech Engineering can do for your company today by calling us today at +6581822236 for a no obligation discussion of your needs.